Facebook’s ad library revealed that the power company’s Facebook page had sponsored seven different posts with PM Modi’s image, asking Modi supporters to like the page. 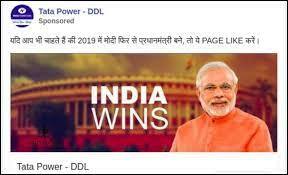 Tata Power Delhi Distribution Ltd. claims that their Facebook page was hacked for illegal propaganda, as it was found sponsoring posts with Prime Minister Narendra Modi’s image, which were eventually taken down by Facebook. Facebook’s ad library revealed that the power company’s Facebook page had sponsored seven different posts since August 2018, asking users to like the page if they wanted the current prime minister to come to power again. यदि आप भी चाहते हैं की 2019 में मोदी फिर से प्रधानमंत्री बने, तो ये PAGE LIKE करें। If you would like Modi to become prime minister again in 2019, please like this page. आप भी मोदी समर्थक है तो ये PAGE LIKE करें। If you too are a Modi supporter, please like this page. According to the ad archive, the sponsored posts with Modi’s image have been taken down as they did not carry the required ‘Paid for by’ disclaimer, after they were identified as ‘political’ ads by Facebook. Furthermore, three out of the seven ads were reported as going against Facebook’s advertising policies. The ad report also revealed that the posts were promoted for amounts ranging from Rs. 500 to Rs. 10000. The sponsored posts can be viewed in the Facebook ad library by clicking here. BOOM also noticed that Tata Power DDL’s Facebook page, which represents the power company’s Delhi distribution branch, is liked by more than 3 lakh users, higher than the official Facebook page of Tata Group, which is liked by 1.6 lakh users. Using the prime minister’s name or image for commercial purposes is an infringement of the Emblem and Names (Prevention of Improper Use) Act of 1950. In March 2017, Paytm and Reliance Jio had to issue apologies for violating the aforementioned Act, after they used the prime minister’s image in full page ads, as reported by The Hindu Business Line. BOOM reached out to a spokesperson of the power company, who stated that the post is actually fake and the Facebook account running the page was hacked to run an “illegal/black propaganda”. Our internal investigation reveals that our FB account was hacked for illegal/ black propaganda. We would like to state that as a policy, Tata Power-DDL holds no inclination towards any political party or political group. 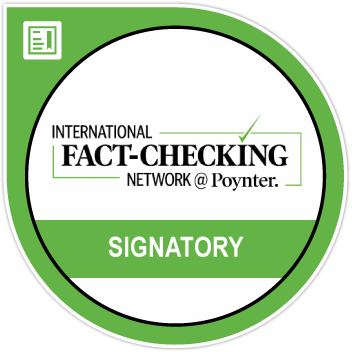 We are strictly against the fake news /propaganda on social media for vested interests or creating political, religious and social biases. The purpose of our social media platforms is only to share company news, updates and offerings among our consumers/ stakeholders. BOOM also observed that the concerned posts were sponsored over a couple of instances since August 8, 2018, leading us to question whether the company had failed to notice unauthorized sponsoring from its Facebook page in each of these occasions. According to the spokesperson, it all started when a fake animated video of the company was traced in Facebook’s Info and ad section of the page. “While getting into the root cause of it, we also discovered about the fake political ad which was maliciously run from our Facebook account. The ad was deliberately run intermittently to avoid flashing on our radar,” he said. He claimed the power company’s Facebook page had been attacked by ghost ads which generated no notification on the Facebook account, did not feature in their timeline and were not shown to the page followers. However, the ad archive suggested that the allegedly fake sponsored ads in question had made considerable amount of impressions on Facebook while they were active, running up well into lakhs. Additionally, the spokesperson also stated that Tata Power DDL has strengthened the monitoring mechanism of its social media platforms and has taken up this issue with Facebook along with reaching out to the authorities, to avoid such an incident from happening again. “Besides this, treating it as serious cybercrime we have registered a complaint with the Cyber Crime Cell of the Delhi Police,” he added. BOOM also reached out to the Cyber Crime Cell of Delhi Police, but was unable to confirm whether the power company had filed an FIR.